The queen of England is saying off with their heads…that is, to the paparazzi who violate her family’s privacy. 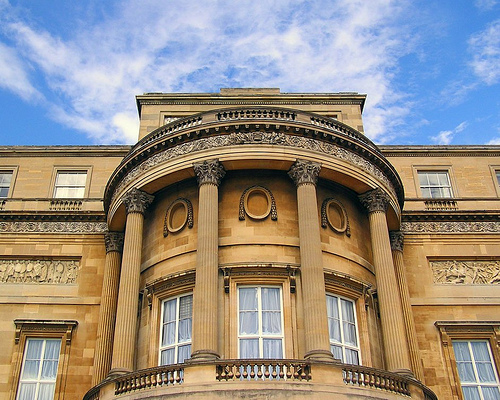 The Telegraph reports that Buckingham Palace is taking legal action to bar paparazzi from photographing the Royal family on their private estates. The Royal family grants public photo opportunities but want anything more to be deemed criminal harassment. Some say the Royals are just trying to prevent unflattering pictures from emerging – noting two particular photos where the queen was caught wringing a pheasant’s neck and an earl was hitting his hunting dogs. Paparazzi apparently station themselves on public roads and get intimate shots like these with their telephoto lenses. I am firmly not in the aggressive paparazzi camp, so I have a hard time siding with people who intimidate and intrude on their subjects to the point of being sleazy and dangerous. Though, on the other hand, it comes down to public people (in this case, very public) and their reasonable expectations of privacy. Do they have any? Not to mention that it also smacks of some hypocrisy, as the article points out, when members of the Royal family are happy to sell access to their private events for some serious cash to these same “intrusive” media outlets.